Our main work area includes installations and disassembly of ventilation and air-conditioning systems. 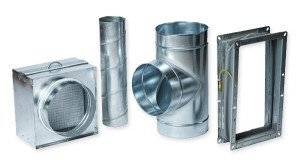 However, we also offer ventilation and air-conditioning materials and components for sale, delivery, installation, activation and setting, instruction for operation, service, minor welding tasks (111 and 141 technology). Our mechanics hold various technical licences, such as a slinger, crane operator, welder, forklift driver and lift platform operator licence.